To begin 2019, we would like to say thank you very much to all our clients for the trust they show in us by involving us in their successful projects. 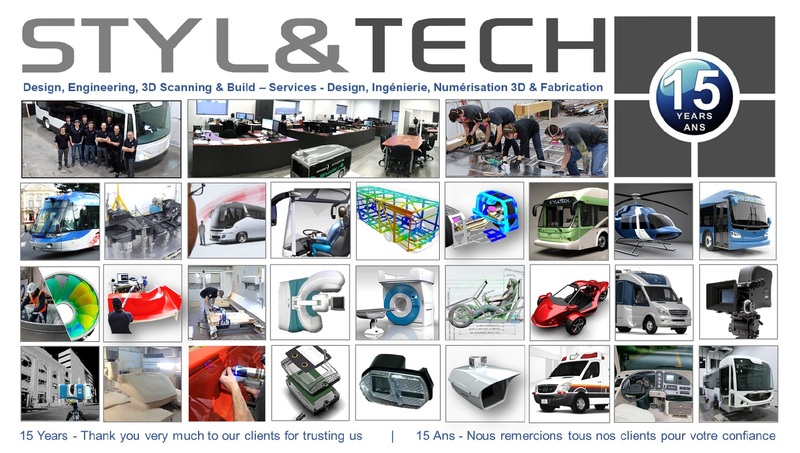 Since November 2003, STYL&TECH performs product development services such as design, engineering, 3D scanning, multi-material fabrications and assemblies for small and major manufacturers in North America. We are always seeking for innovative solutions and finding new ways to achieve project timelines and quality services to meet and exceed our client’s expectations. We are involved in several domains such as automotive & transportation, medical, power energies, mining, infrastructure, electronics, consumer goods and we bring new perspectives and solutions to our clients.